Fair point. Though whether it be Altiport or Altisurface there comes the unique Point de non-Retour. He becomes committed to land as there is no other choice. Lefty wrote: I would suggest he touched down way too late and too fast. Given that a go around is not impossible after you turn final, his goose was cooked long before the video starts. Probably a high hour pilot. Hate to disappoint you Harry old chap. But I had a "permission" for Courchevel when I had about 200Hrs total. Many moons ago now. I was staying there with a 747 and a 777 captain one year. For some reason neither would come with me for a local joyeux. Last edited by GolfHotel on Fri Feb 08, 2019 9:32 pm, edited 1 time in total. GolfHotel wrote: Hate to disappoint you Harry old chap. But I had a "permission" for Courchevel when I had about 200Hrs total. Many moons ago now. If you didn't crash, it proves his point. 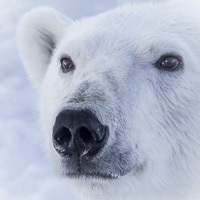 Last edited by Lockhaven on Fri Feb 08, 2019 9:40 pm, edited 2 times in total. Excellent point! I shall endeavor to continue proving him right. Unless that will mean I have to start crashing now that I have a few more Hrs. Thanks @derekf for finding the video to which I referred. I've seen a PC12 after it had hit the end with no snow - there were three ATPLs on board. It's down to the training and adhere to what was learnt - tail wind or not you would train to handle that and know when not to even attempt to go there. I have landed at most of the altiports in that area, including Courchevel, using and aircraft and instructor from Megève Flying Club. I have never formally qualified. Is it a 'mountain rating' that is required and if so, what are the currency requirements for the rating and what are the currency requirements for Courchevel itself if different to the rating ? According to these guys it's a two day course for Courchevel. Not sure if that is in addition to a Mountain rating. 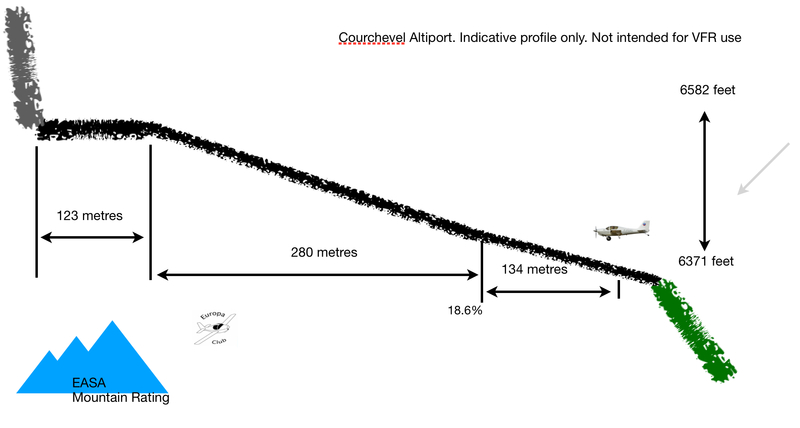 Almost 20 years ago I worked for a fractional operator when the rumour went round that someone in management trying to make a name for themselves had seriously proposed that we consider flying Citations to Courchevel. Last edited by Flintstone on Fri Feb 08, 2019 9:52 pm, edited 1 time in total. Iceman wrote: I have landed at most of the altiports in that area, including Courchevel, using and aircraft and instructor from Megève Flying Club. I have never formally qualified. Is it a 'mountain rating' that is required and if so, what are the currency requirements for the rating and what are the currency requirements for Courchevel itself if different to the rating ? If you have a mountain rating you are free to land any time any aircraft. You can get a "permission due place" (spelling may be doubtful) its valid as long as used within the last 6 months, or needs a re validation. I did this many years ago so may be out of date with exact detail, but that's the gist of it. Flintstone wrote: According to these guys it's a two day course for Courchevel. Not sure if that is in addition to a Mountain rating. It'd be a hoot on private ops but the pressure of being commercial would be a pain. It was bad enough having Swiss bankers (real ones but also rhyming slang) giving me the benefit of their advice such as to descend through cloud in to a valley at Samedan.